Your guests shouldn’t have to take a trip to the Lick Observatory to see your pre-event promotions! 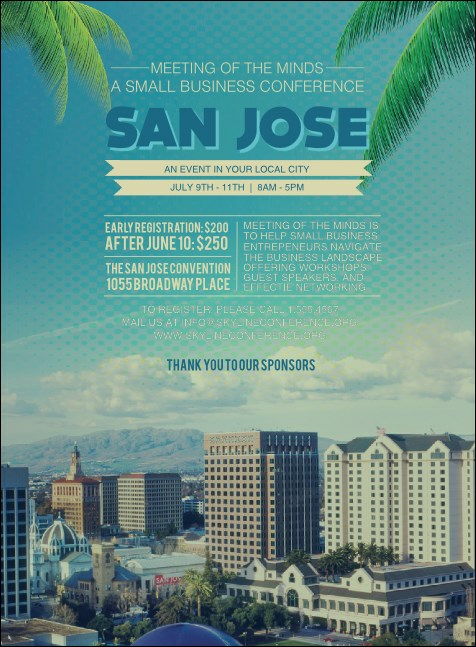 Deliver your advertising right to their doorsteps when you print San Jose Invitations for your local event and send them out in advance. Each stunning Invitation features a picture of San Jo’s downtown skyline on a beautiful sunny day. Walk through your valley of advertising fears at TicketPrinting.com.